Even before President Donald Trump's travel ban for citizens of seven Muslim-majority countries, international students were thinking twice about coming to study in Oregon. It looks to be part of a nationwide trend of students deciding not to come to America. "I think the Canadians are having a great time advertising: 'Come to us,' " says Ed Ray, president of Oregon State University, noting he is seeing other English-speaking countries also take advantage of the United States' new presidential policies. 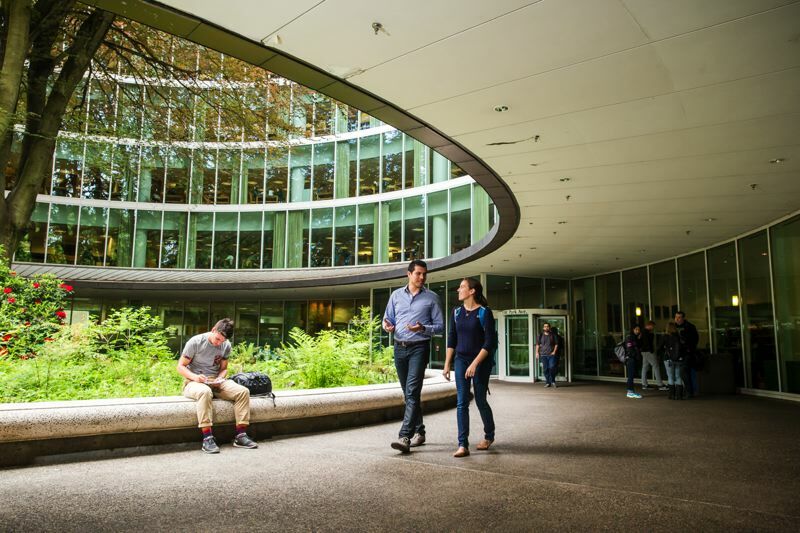 Though international student applications fluctuate significantly from year to year, Portland State University is seeing one-third fewer undergraduate applications from India than last year. Margaret Everett, vice provost for international affairs and dean of graduate studies, says she sees a clear line between the election and more uncertainty and unease from the large Hindu-majority country. "What I'm seeing in the Indian press is concerns about Indian students being able to come and complete practical training while here," Everett says. Many Indian PSU students, who are overwhelmingly in engineering programs, need practical experience through paid internships after graduation to make their degrees worthwhile. "If they are worried about their employment prospects post-graduation, that would certainly impact their applications," she says. The Economic Times of India reported Nov. 18 that many students from India were skipping plans to study in the United States due to worries that H-1B visas would be eliminated, as Trump has promised. H-1B visas are work visas for "specialty occupations," and often are used by large tech corporations, such as Intel. According to industry publication Computerworld, new Attorney General Jeff Sessions argued as a senator that the H-1B visa program is allowing large companies to needlessly fill good-salary, skilled jobs with non-American workers. The decline in applications does not extend to Oregon State University, which has a major focus on engineering fields. Officials there report that applications for admission from India between Nov. 10 through Dec. 10 in the last three years have held steady at around 365 students. International students have become an important part of university business models in the past decade. Corvallis-based OSU saw a rise in undergraduate international admissions from 600 in 2008-09 to 1,478 in 2015-16. "We're intentionally trying to broaden our international recruitment," says OSU spokesman Steve Clark. PSU educates almost 2,000 international students, and the now-suspended travel ban would directly affect about 70 students from Iran, Iraq, Libya, Yemen and Syria. "I think the climate overall, we certainly worry, is a difficult climate for recruiting international students," says Everett, of PSU. "We even had a few students — who have visas — delay their arrival as a result of the order." The vice provost says international students — particularly those from the seven countries in Trump's executive order — are usually sponsored by their government to receive American education and return to build their home countries. She also argues that post-graduate students and researchers who come to PSU often are "the best and the brightest" in their countries and contribute to research in Portland that benefits the state and nation. Everett says she often hears from international students that they feel welcomed by the Portland community, but are nervous about the national dialogue. "It's an interesting and, I'm sure, very confusing experience for international students."